Because some days you feel like wearing colored hoop earrings that stand OUT unapologetically. As you may have noticed, I’m into earrings and that is all I see when I go into any jewelry display section, offline or online. 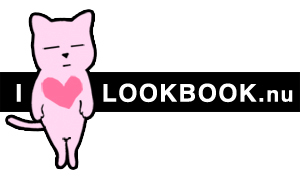 Looking for something that stands out, my mind pictured it in LOUD pink and possibly hoop-y and that is how I stumbled upon this gem of a store called TrendyHipBuysVintage that’s owned by one passionate, Adora. Her pink hoop earrings were the first thing that caught my eyeballs and I just had to peek in to see everything in her collection of ear adornments. Her love for the 60s mod earring style is instantly apparent with the way that each of her earrings speak out loud in vivid hues of red, orange, turquoise and pink. The hoops are present either in a duo or solo pairings that will frame your face and they’re designed to stand out, staying true to the spirit of massive and bright ear pieces of the era. 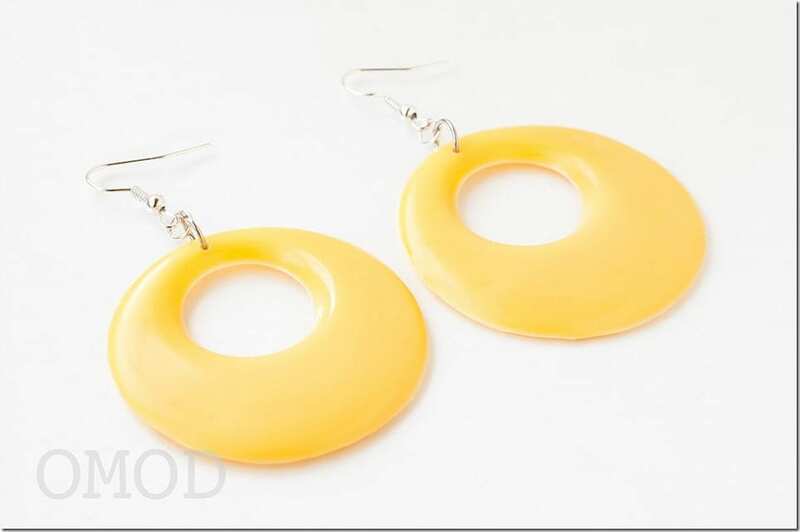 If you are itching for earrings that SCREAM party time or in need of a positive boost via colors, then Adora’s handcrafted 60s style colored hoop earrings are worth looking into. Other shapes that are available besides the popular hoops are, triangles, squares and hearts. 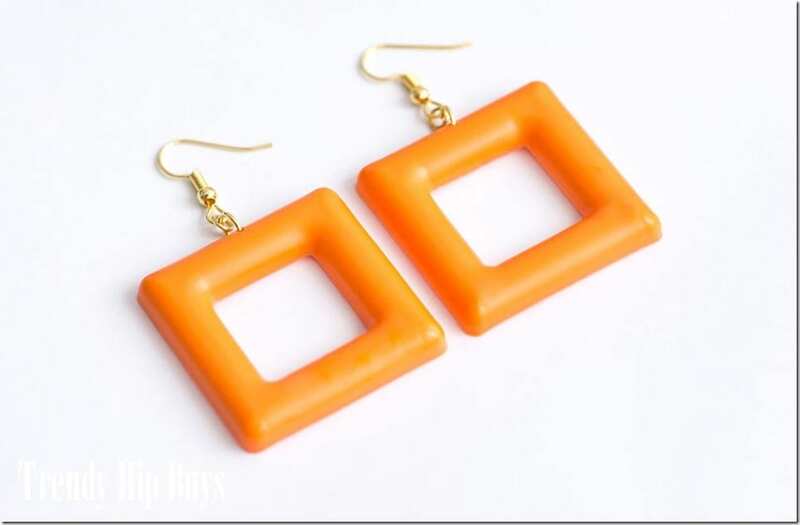 The earrings come in many colors so be sure to check that out. With that said, here are six pairs of mod earrings that my earlobes would be glad to wear when they feel like partying. Enjoy! 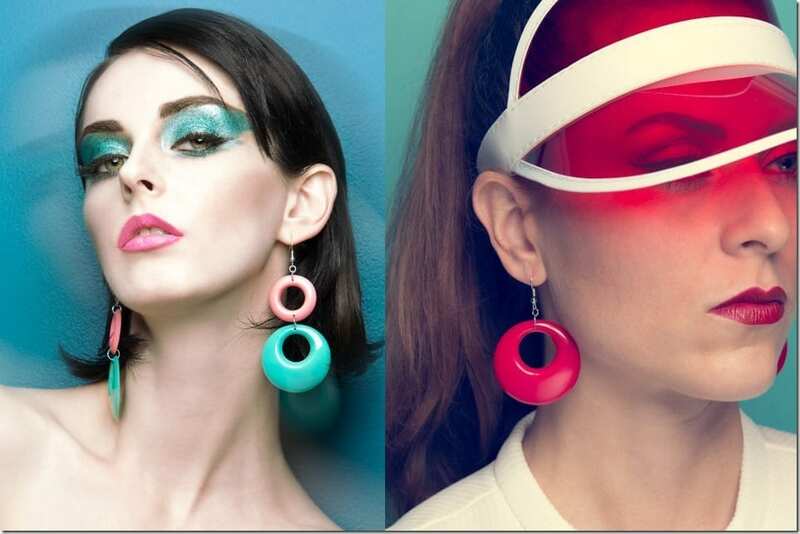 Which 60s mod earrings would you love to wear? Share below – I’d love to know! Smitten by the statement earrings you’re seeing here? Don’t forget to Show Adora some love!